*Nationwide — L’Oreal, the world’s largest cosmetics and beauty company, is looking for talented young people who can express their wide-ranging personal attributes as they take part in challenging, dynamic projects and missions. They are looking for students with a diverse range of profiles, nationalities and experiences. Internship opportunities are available, both in the U.S. and internationally, in the areas of Research, Operations, Finance, Information Systems, Marketing, Sales, Communications, and Human Resources. 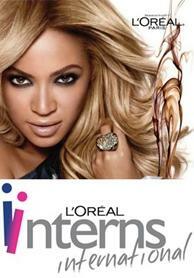 More than 150 interns are hired each year by L’Oreal, and approximately 28 percent of graduates hired full-time were interns. In addition to traditional campus job fairs and online applications, students are also invited to experience L’Oreal through business games and recruitment weekends. Students who play the games or attend the weekends will be eligible to interview for an internship.